The Kinesis Freestyle Edge is the first ergonomic mechanical keyboard that found its way into our labs. 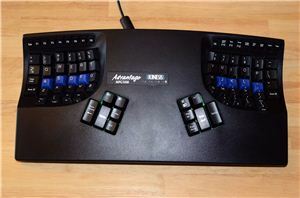 Kinesis is a company that specializes on the design of ergonomic input devices, so them releasing a mechanical gaming keyboard definitely was a surprise. 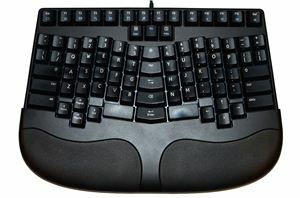 As best as we can tell, this appears to be the world’s first ergonomic gaming mechanical keyboard. And, despite the odd nature of the keyboard and the time it takes to get used to it, it's proved well-built and surprisingly comfortable.